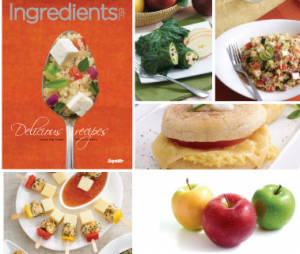 Saputo is offering a Free subscription to their Ingredients etc. magazine. This magazine is full of delicious recipes. Just fill out the form with your information and get the next subscription right to your door. I love to learn new recipes to keep my family and friends happy. The way to the heart is truly through the stomach I have found. This Free magazine subscription is for Canadian Residents only and is available in either English or French editions.